Burn and Durran argue in favour of dislodging representation and the study of how media artifacts construct the world as the primary focus of media education so that communication can re-establish itself as a key concept. In line with much of the prescience of Lanham and his belief in “the radical enfranchisement of the perceiver” (1993:17) ) and Williams’ allusion to a future of “equitable access to the means and resources of directly determined communication, serving … a qualitatively different social life” (Burn drawing on Williams, 2009:25), Burn and Durran’s creative production practices materially demonstrate a renewed concept of “media oracy” (2007:167) or “Lit-oracy” (Burn, 2009: 19). This represents a paradigmatic shift in emphasis, foregrounding the stylistic surface of rhetorical performance as well as attending to its anatomy. 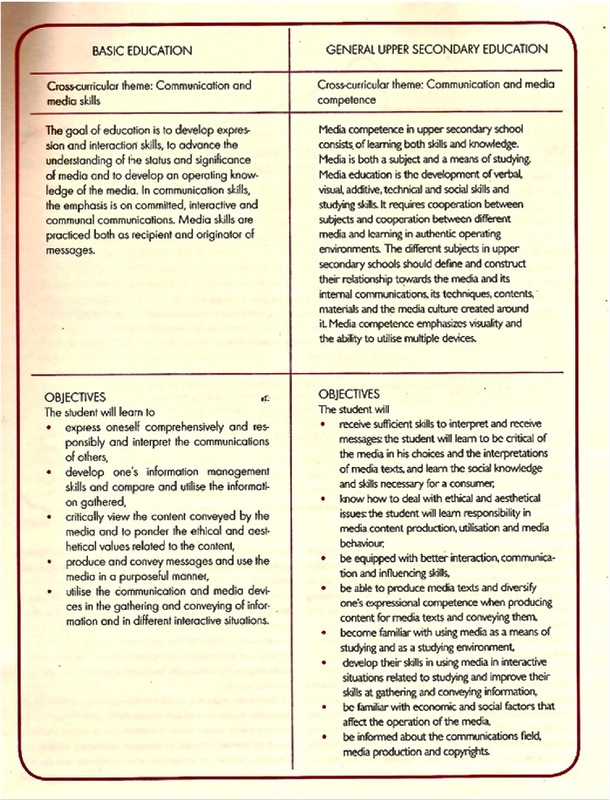 Attention will be given to the relevance of oralcy to new media practices and literacy later in this account. Burn and Durran’s work builds on certain precepts established by the New London Group (1996) and their concept of multiliteracies in flux with social contexts, as set against prevailing linear, monomodally conceived notions of literacy which they see as increasingly irrelevant in a environment of “hybridity and intertextuality” (New London Group, 2000:29, drawing on Fairclough). For young people at the computer interface, the confluence of informally acquired cultural repertoires and formally taught technical competence is a fulcrum for the articulation of “what Williams called relations between elements in a whole way of life” (Burn & Durran, 2007:173). As such, complex kineikonic design work (a mode originally conceived by Burn & Parker, 2003) could critically inform and add much needed relevance to national curriculum content and delivery structures. Creative media production is no ‘silver bullet’ but its non-hierarchical and improvisatory processes are well placed to: wade through the ‘gap’, rather than bridge it; meddle under the bonnet of the ‘problem’, as well as appreciate the bodywork; tackle the ‘challenge’ by offering an engaging route to “decentre” (Buckingam, 2003:152), to appreciate other perspectives and to an awareness of complex online social mores through personal investment in and distribution of their own media texts.